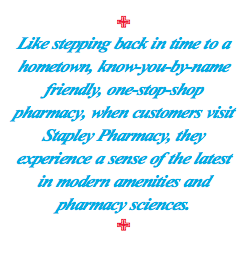 ST. GEORGE – There are many things that set Stapley Pharmacy apart from other pharmacies in Southern Utah. First and foremost is longevity. Established in the 1950s as Bateman Pharmacy, it became Evan Stapley’s own store just three years after he became its employee in 1976. Evan Stapley came to St. George after graduating University of Utah’s College of Pharmacy where he served as president of its student association. When he accepted an offer to work for Alfred Van Orden Bateman in St. George, Evan Stapley brought with him a philosophy that would both drive and define the business. His motto, “Out the door in 10 minutes,” is something Stapley Pharmacy is literally built around. After purchasing the store from Bateman in 1979, Evan Stapley began bolstering his staff to increase efficiency and minimize customer waiting. There is no waiting bench at Stapley Pharmacy. 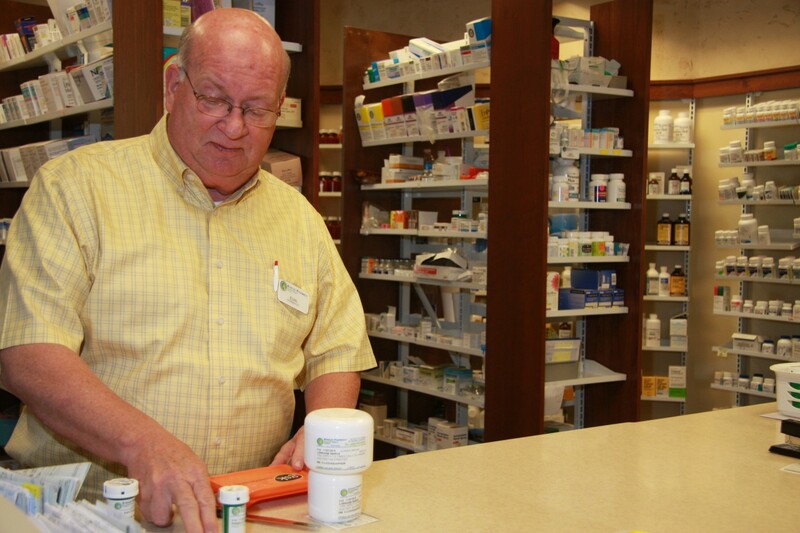 Still, after working 37 years as Southern Utah’s hometown family pharmacist, Evan Stapley takes pride in efficiency as well as the fast, friendly, family service that his customers keep returning for. Stapley Pharmacy offers nothing less than the friendliest of environments. From the bell ringing at the opening of the door to the first smile at the gift shop counter and a hello by name at the pharmacy counter, customer service is personable. “We try to never forget a name,” Evan Stapley said. What could seem like a stark contrast to the store’s warm, country welcome is the vitality of the latest in state of the art pharmacy technology and a team of pharmacists and technicians that works in tandem like a symphony – filling orders and moving customers through with a smile. Behind the counter, Stapley’s pharmaceutical service is known for its unique ability to offer compounding, repackaging (bubble packs), free delivery, immunizations, consultations and a telephone computer system that operates a giant refill robot for customers to watch as they visit the store. He takes pride in offering bubble packaging to nursing homes and patients who need to take several prescriptions each day, Evan Stapley said. As part of this service, pharmacy technicians sort, package and seal all the medications a customer needs to take according to times of day prescribed – thus eliminating later confusion. In 2004, when Evan Stapley’s son Brad graduated pharmacy school and came to work with his father, they built a lab that is visible to customers as they come in and out of the store. A glass bank of windows allows customers to view lab technicians as they create creams and medications. Brad Stapley said he, like his father, believes in staying sympathetic to customer needs and aware of new trends in the industry. The Stapleys travel to national training conferences each year to stay apprised of new technologies and advancements in pharmacy delivery systems. “Our job is to make sure we are continuing to give our customers the very best service and care that is available,” Brad Stapley said. Working 37 years in the same pharmacy, same downtown St. George location, Evan Stapley and his wife, Faith, said they have seen many changes both within and without the store. The neighborhood has both evolved and stayed the same. With the hiring of Evan Stapley in 1976, Bateman Pharmacy grew to an employed staff of two pharmacists and two technicians. Today, staffing includes typically 3-4 pharmacists each day with 8-10 technicians, lab workers, clerks and a delivery driver. “One of the ways we keep waiting time down is to invest in a quality staff,” Evan Stapley said. Currently, Stapley Pharmacy boasts 27 employees including Evan Stapley’s wife Faith Stapley. “When we remodeled the store, I gave Faith the gift section she had always dreamed of and she is the best buyer we could have,” he said. Each of the Stapleys’ five children has also been employed at the pharmacy, and Brad Stapley is not the only pharmacist prodigy in the family. His brothers, Aaron and Devan Stapley, are currently enrolled in pharmacy school at Roseman University of Health Sciences in Nevada; both plan to find work in the pharmacy industry. 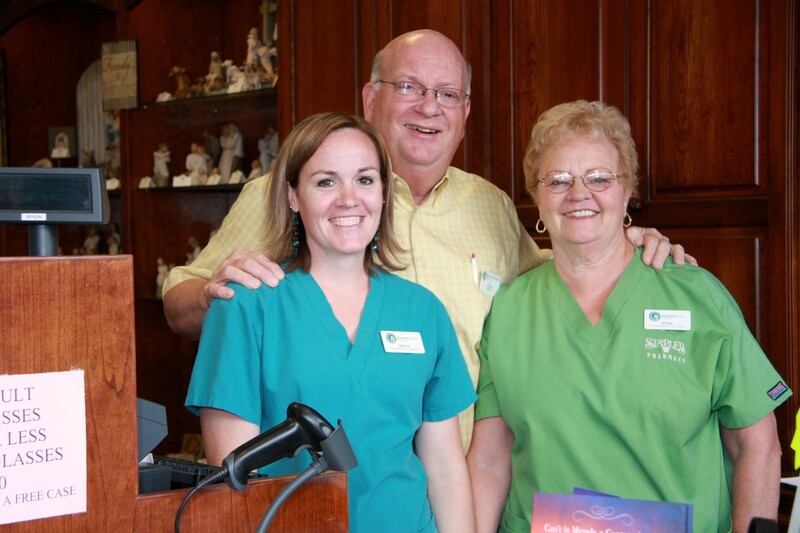 Along with generations of Stapley pharmacists, there have been generations of customers, too. In fact, customer appreciation is really the catalyst that drives this company.